My name is Mike Devlin and I live in Leeds UK. I am just recovering from my 3rd manipulation of my coccyx with injection which I had yesterday 04 October 2010. Since late 2008 I have suffered with pain in the lower back in particularly in the coccyx region, I am unaware of how this area was damaged. As a child I suffered with back pains that were put down as growing pains, years later it was discovered I had schermans disease. It was at the point of trying to join the police that this was highlighted..... Due to these problems I was declined access to the West Yorkshire Police Force. For many years I suffered with back pain, mainly lower back. At the point of buying my first house I took advice from the various chiropractors, osteopaths, doctors, I bought an orthopaedic bed, which I thought was going to solve my back issues. I did my homework and bought the best bed that I could afford, nearly �00.00!!! After owning this bed for a year I finally decided that it was never going to suit me and decided to get rid of it, obviously a difficult decision considering the money I paid for it. I wanted to try a waterbed, yeah I know waterbeds everyone gives you a funny look when you mention them. I think people get visions of Las Vegas and adult films!!! I bought my bed from Bradford bed centre from a lovely women called Rita. I paid �0.00 and I must say it is the best �0.00 I have EVER spent.... I have had the bed 10 years now, and it is still the best thing since sliced bread. I admittedly upgraded a few years ago to a soft sided waterbed, but I still sleep better in the old bed, it is fantastic. Since buying the bed I no longer suffer with back ache and I recommend these beds to everyone. 1. I find that clenching the muscles you use that stop you going to the toilet for a No 2 stops the pain from the coccyx...does anyone else find this? 3. Has anyone else suffered with being locked on the Loo?? 4. I suffer from long periods of constipation, up to 9 days in length does anyone else? 6. Muscles just above my bum can sometime become painful and tensed. If you can help then please feel free to email me. I will keep this record up to date as Time goes on. I have found this site really helpful over the last couple of years, and will pass on my contributions to you all, even though my grammar is not too great! And some things may not make sense! I am due to see Mr Rao again tomorrow, 7 March 2012 as I am still having serious pain. I am not on pain killers as I don't want to rely on them.... I am thinking that the only way out is to have it removed, but I don't fancy the time off work nor the pain..... I guess I either need to bite the bullet and go for it, or just accept the fact that I have the problem and live with it. I last wrote on here around the 04/March/2012 and I went to see Mr Rao at Leeds General Infirmary on the 07/March/2012. I spoke to Mr Rao and a collegue of his about my pain in my coccyx area and they agreed that it would be best to go with a Coccygectomy. Upon asking the question when they thought it might be possible to fit me in I was told within the next few weeks!!! Which as I am sure you can imagine I was more than surprised.... I was sent for my MRSA checks the same day and was told someone would be in touch by letter in the next week or two. I was then nervous about the operation and placed my life on hold for a few weeks thinking that at anytime I might be going in for the operation, to date I am still awaiting a slot. I have a large team of people to look after (300+) and would prefer to plan for my time off work and could they give any indication as to when it might be? The answer was that no they could not give any ideas of when. Oh well I thought I am sure it will be in May sometime, but I am now starting to think it might not be May... I had asked Mr Rao about going privately and he had said that this would be pointless as I would be in within a few weeks and that if I did go private it would be done in the same timescales, I am starting to think I should have pushed for this now. 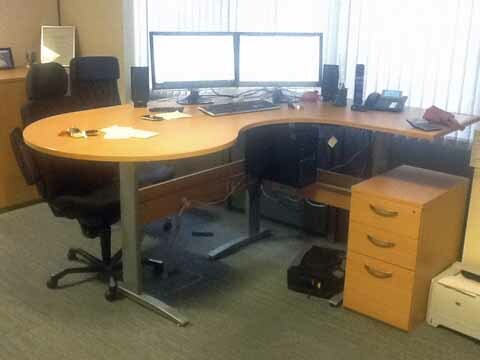 Anyway onwards and upwards I have ordered a new stand up desk to work behind which I am really looking forward to getting this should relive some of the back pain I am getting. Once I get my date I will update my status... I intend to make a diary of what happens pre op and post op because I have found the personal experiences here on the coccyx.org site very useful, I found Bill Hanley's very helpful, so thanks for your updates Bill, if you ever fancy meeting up for a pint please drop me a line I would love to buy you one or two! That's it for the time being, I still am really happy with the way the LGI have dealt with me over the years and I am sure that this is just a blip at the moment, however I know from experience that it is best to meet your expectations, if not exceed expectations, but never over promise or under deliver. I got told to expect 4 days in hospital, so I'm not looking forward to the prospect of eating hospital food!!! Also not looking forward to the pain or the bowel prep!! Does anyone know what the bowel prep involves? Hello everyone. I thought I would update you all on how I am getting on. I arrived at LGI hospital on Monday 11th June 2012 at 07.10 as requested. They actually asked me to be there at 7 am but as you will read that does not really matter! Once arrived at ward L34 Clarendon wing LGI we (me and Sarah) my wife were asked to wait in the made up waiting area, basically an old 4 bed ward without the beds! I was unable to sit on the seats as they were very uncomfortable, to say the least! L34 for your information is a day ward and people get referred here from A & E... The place is really busy for a small ward and the nurses and doctors run all over the place!! At 16.25 I got asked by the nurse to take a cubicle and get into my gown as the porter was waiting in the corridor for me!! My heart rate raised as you can imagine!! HERE WE GO! On the bed I get said my goodbyes to my wife and unborn child and once checked out by the sister in charge was on my way 16.30 off the ward. I was taken down to the room where they knock you out and was laid chatting to the nurses about the price of fish as they were trying to keep me calm which helped massively I had been anxious most of the day! People were still waiting in the waiting room not that I cared because I was still coming round, at this point I felt no pain whatsover....... The lights went out at 23.30 but the noise did not stop all night... Banging and clattering lights on and off, phones ringing, I was very uncomfortable with it all and found it a little stressful all I wanted to do was sleep... At 01.30 after dosing in and out I started to feel pain, called the nurses and they came across with oral morphine which was repeated at 04.00 then again after breakfast which was at 07.30! Lights out at 23.30 and blood pressure checked at 06.00, NICE! Tuesday came and went, I confirmed codeine was not working on Wednesday on its own as nurses wanted me to leave Wednesday, but without morphine I was not going anywhere! Doctors were insisting I had a BM before I went anywhere so that was it for me. During my stay at hospital pain levels were 2/10 when stood 6/10 when laid down on back, 10/10 when moving to get in out of bed..... I found I wanted to do a bit of walking around which tired me easily, however more comfortable than being in bed! I feel very well in myself, and from how I am feeling the operation has been a success.. I will send updates on a weekly basis to keep my record up to date. If you have questions please feel free to email me, if you want to have a chat, email me in first instance and we can then swap numbers..... I am off work for 12 weeks so if you fancy popping to Leeds then feel free and I will meet you for a coffee somewhere. Thanks for reading my story sorry about the bad grammar! Lot of bed rest. Went for a short walk out to clear the boredom! Had a bm and passed quite a lot of blood, called ward and they spoke to doctor and confirmed all should be okay. I was told that if continues to happen I am to visit hospital. Did not wake up until 10.45 shattered from my walk out! Tuesday 19th June went for a walk and found when got home my wound had split slightly and had started weeping. Friday 21st June went to see nurse and found out I have caught infection in wound, issued flucloxacillin and given loads of release dressings! Told to come back on Monday at 09.10. Got told off that I should not be walking and that I should be in bed....... Nurse was great with me and understood how bored I must be, especially as she knows how get up and go I am! Well I have got over the infection, and had my stitches taken out. I feel much better for having them out, I must admit though it hurt when they took them out!!! OUCH! That was on the 3rd of July 22 days after my operation. I went out on the 7th July shopping with Sarah to get food and shopping for our baby that is due in a couple of months........ When I woke up on the next day I felt sore... My muscles felt like I had done a marathon just from pushing the trolley around! Drinking lager (just a few) has funny effects on me I think its the tramadol, I have the following symptoms:- if I have 1 it feels like 2 so double the effect! Once I go to bed I sleep like a baby, however I sleep for 12-15 hours! Morning I find I have mild Diarrhoea. I'm back on Tuesday 31st to see my surgeon and Monday to see the nurse again. As you can imagine I'm not happy about this, 7 weeks after my operation, I'm now back in pain, I'm back to three sets of pain meds a day, and told to rest by the nurse! I'm taking macrogol daily now to help me go to the loo. I am writing this on the 21 August 2012, 72 days after my operation. To touch it is sore, I find wearing Jeans rubs the area because of a seam so I am either wearing trousers for work or shorts at home. I seem to have a lot of tiredness in my legs which I can't seem to shift.. my body gets tired easily which I think is just down to inactivity. I have started swimming at my local pool and managed 20 lengths which is pretty good for me. I am able to sit down now, I still get a lot of pain from it, not as much as pre operation but still quite considerable. Life is beginning to come back to normal, I feel better in myself, I only have pain 33% of the time now and the pain is a lot less severe. I am pleased to be back at work and I am happy I made the decision to have it done..... I guess I am one of the 60% of people to be a success. I am still under Mr Rao / Mr Khan at LGI, these two gentlemen have been superb towards me and my recovery, I cannot thank them enough. I will update as and when things change, in the meantime please keep well and as always please feel free to get in touch and if you want to speak to me, as it would be great to hear from you. I will happily answer any questions you may have or if you just fancy a chat that is fine also. I am now 99% fixed, I still get a small amount of pain when I sit on something hard for long periods of time... As time goes on this pain also seems to be lessening. I would recommend this operation to anyone as I am fixed, although it is a long road that I have been down, I'm really pleased with the result. (Making the first step was a hard decision to make as this op can go both ways) however, if I had not made the initial decision I would still be in serious pain and unable to go to the loo. I hope my story helps people who are in the same a position as I was a few years ago when I read Bill Hanley's story.